Food, fun, fashion, and horse racing! What more could you ask for on a sunny Saturday afternoon right? A couple weeks ago, my friend Judith and I attend the 5th Annual Del Mar Gourmet Food Truck Festival in San Diego (see my outfit details HERE). This event happens once a year during the summer of Del Mar races where roughly 40 food trucks from Los Angeles, Orange County, and San Diego gather to share their sweet and savory treats with reasonable prices ranging from $4-$8. Of course, first things first, when we got to the VIP Clubhouse, the first race was about to start so we immediately placed our bets. Then we grabbed some margaritas and headed out to the tracks to check out the scene (FYI you can bring chairs or pre-purchase some HERE). Each horse race lasts about 10 minutes with a 20 minutes break in between. Halfway through the races, we took a food break and shared a pulled pork sandwich from the popular The Grilled Cheese Truck and a lobster roll from The Lobsta Truck. Both sounded so good and they were both very delicious! I highly recommend those options. We had so much fun at the Del Mar food truck event - it was indeed a great day at the races! 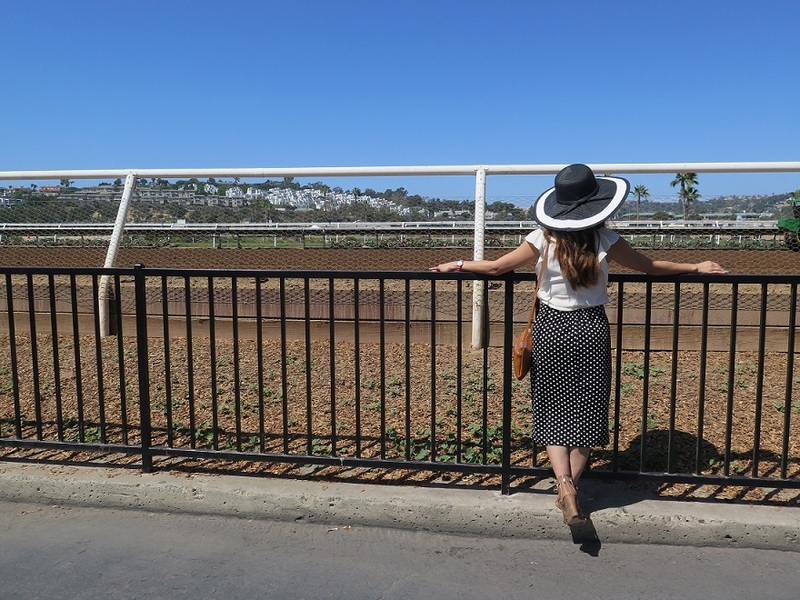 Have you gone to the Del Mar Races before? This was my first time and it was so much fun! ***THANKS Gloria and the Del Mar Races team for a wonderful time!